Friday, April 15, 2011: The Berkshires! The Old Mill Inn in Hatfield is an amazing Bed and Breakfast. Breakfast was delightful in a more formal dining room. 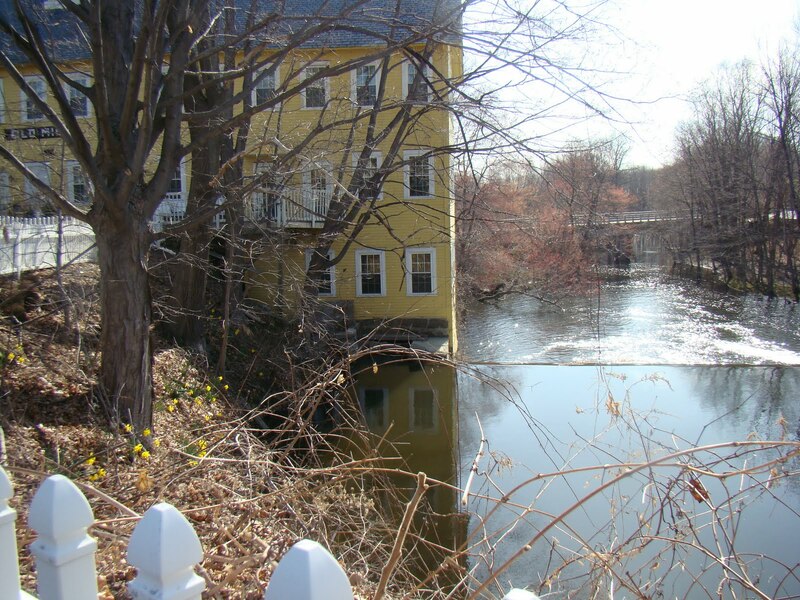 This inn is set on the Miller river and has had many incarnations but it was original a grist mill. It is just lovely! The innkeeper Ted, was a very brave young man who purchased the building, renovated it and is the force behind all the decorations and the great food. The Inn also has other activities like a monthly tea, mystery theatre and other events. He is in the process of updating his website so keep and eye out. See the link to this mill to the right under Travel links. It is bright yellow. My photos does not do it justice! I cannot dally however, for I am off to the Berkshires where Philip Goss of Brookfield (IV) and Mary Kendall Goss settled before heading for the Susquehannah River and the Wyoming Valley once owned by Connecticut. Philip and Mary are my 5th great grandparents. I descend from their son Solomon Goss and his wife Olive Scott. Solomon Goss was born in Granville in 1754 or somewhere near there. 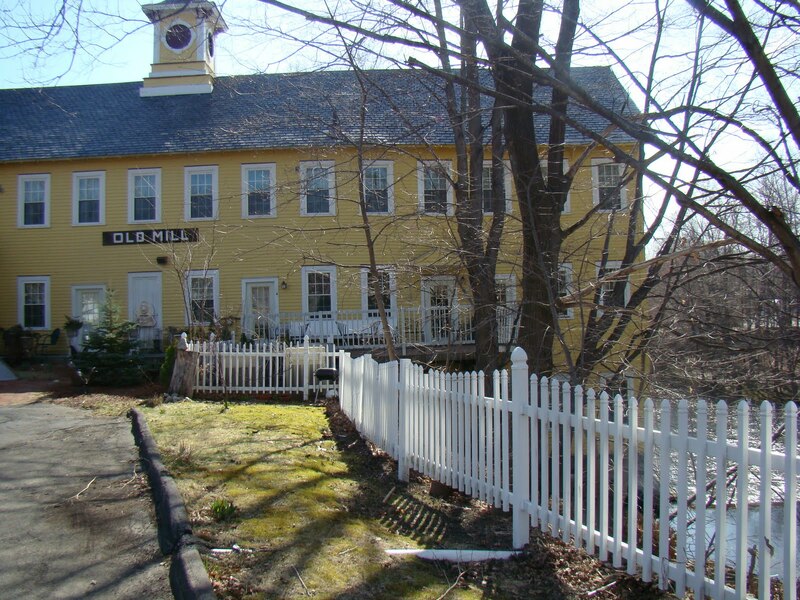 I leave the Old Mill Inn and make my way over to the town of Northampton taking Chester Hwy 10/5 and south into Northampton and east onto Bridge Street that took me right to the Bridge Street Cemetery. 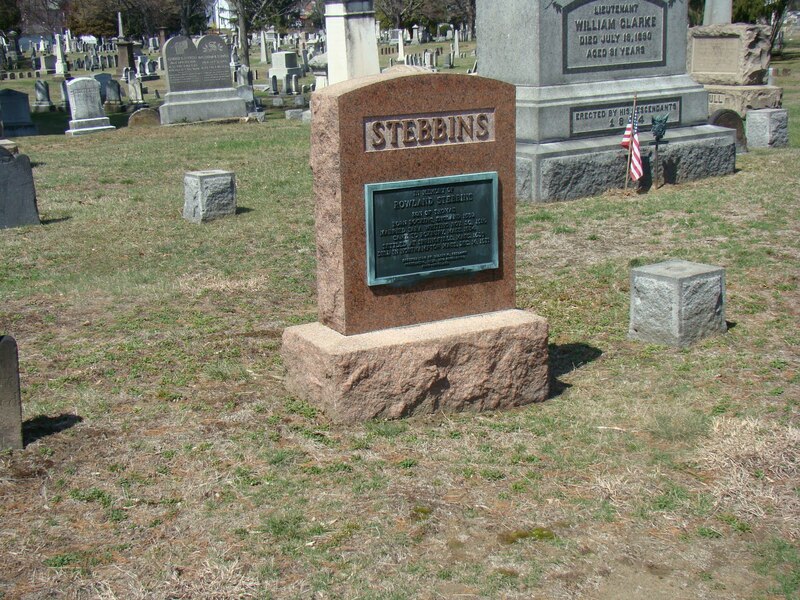 I am stopping at the Bridge Street Cemetery to view the monument of Rowland Stebbins. Rowland is a 10th great grandfather. Rowland is the 3rd great grandfather to Keziah Cooley Goss who married Philip Goss (III) in Brookfield. I am stopping because a grave that old is very difficult to find. Technically it is a monument to him as one of a line of Stebbins that came from England. It was erected by a descendant who tried to figure out which grave was his but finally decided to create this tribute. 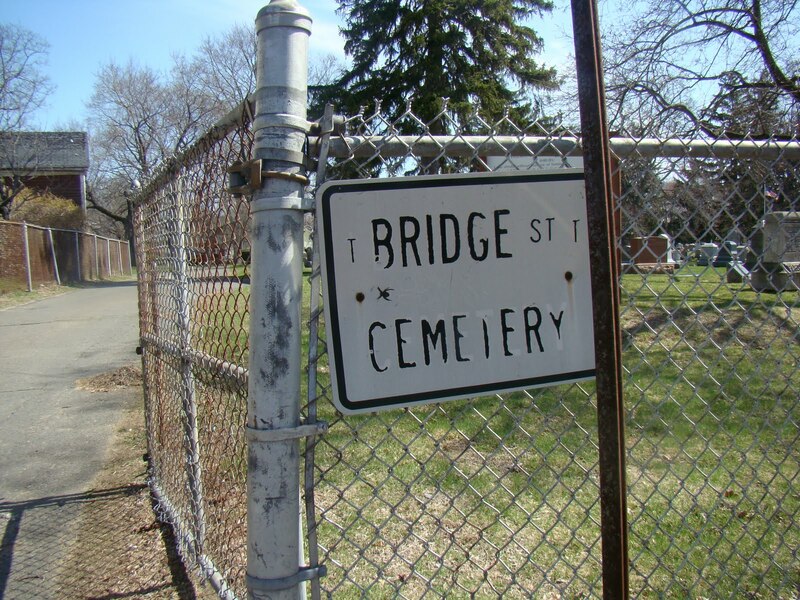 I could not enter through a gate and drive the cemetery for the cemetery was LOCKED UP TIGHT! So I parked on Bridge Street out front. It was about 10:30 am. There were several gates but all were chained with locks. I walked around this very large cemetery trying to get in. No luck! Well I did something that I will not describe. About 11:10 am a truck appeared and the gate was opened on Parsons Street at the very end next to the houses. He didn’t come over and ask me how I got in. He seemed occupied and on his cell phone??? Most cemeteries are dawn to dusk or they put the hours on the fence. Once I saw that the gate was opened I retrieved my car and drove around the cemetery looking for the Find A Grave photos of the tombstones. 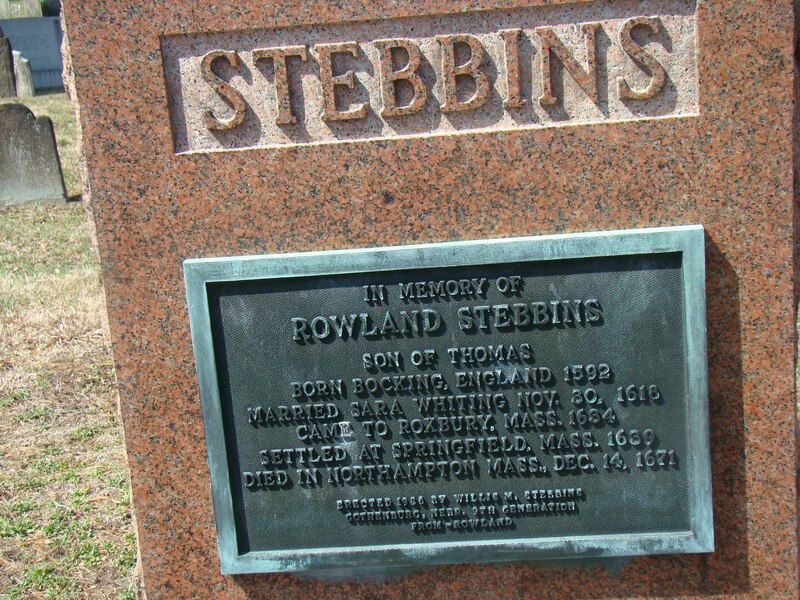 There are two photos for Rowland Stebbins at Find A Grave. I found the tombstone that is chunky with the curved head and the inscribed plaque but not the tall one? I was all over that cemetery? Hmmm…..! There is little information given at Find A Grave and not much on the actual location of the stones that area featured in the photographs. Northampton is the county seat of Hampshire County which was the old county from which several separated like Hampden, Berkshire and Franklin. 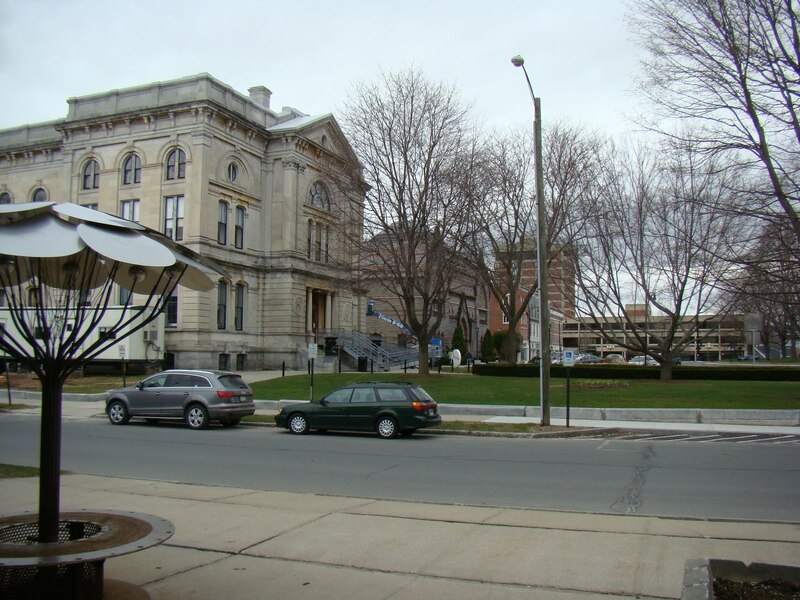 The Hampshire County Registry of Deeds is located in Northampton. I was going to go there but my time was fast disappearing and I decided not to seek out Philip Goss’s deed in Warwick that I discussed in a past post. The Family History Library has them microfilmed so I will check that out instead. Northampton is a very interesting city and there is this college there called Smith? Hmmm… is that one of those fancy colleges? HA! Smith College: http://en.wikipedia.org/wiki/Smith_College It is located a little more west and up Hwy 9. As I was driving along there were all these students milling about. Be careful people in Massachusetts walk across a street when they want to and in any direction they choose. One guy was a little scary! Before leaving on my trip I had consulted the online weather reports and the mention of snow had made me prepare and alternate route to Pittsfield if I needed it. I can drive in snow but would rather not. I had wanted to drive Hwy 9. Ted of the Old Mill Inn said it was a good road and I would enjoy it for it was scenic. 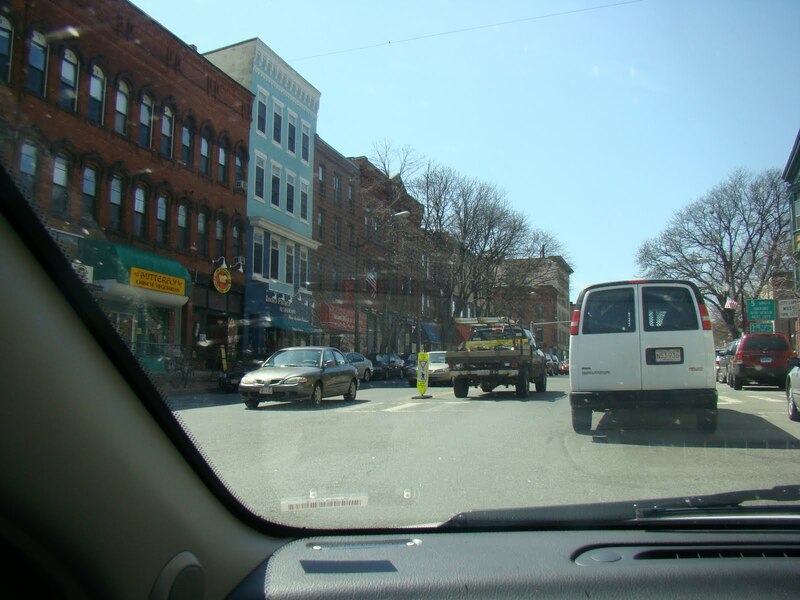 Off I go through Northampton and up Hwy 9 which takes me north to Haydenville, Williamsburg, Goshen, Cummington, Windsor and curving around to Dalton and then into Pittsfield. Once out of Northampton it becomes a country road again. Just west of Cummington is the Old Creamery Grocery Store. I stopped their for lunch and they had quiche!! It was very good. It is a country store with all kinds of foods, a deli, wine, groceries, gifts and more. They have a little eating area. You can find it at this link for Hidden Hills.com http://www.hidden-hills.com/oldcreamery/ It will be on the left and it is big and white. Park on the west side where there is more room. I asked for a local wine and ended up with a California wine titled Berkshire Red? Don’t take there word for it and read carefully the prices are a bit high? My itinerary which I had prepared before I left had me going to the Registry of Deeds for the Middle District for Berkshire (pronounced Berkshur, hey I am trying!). 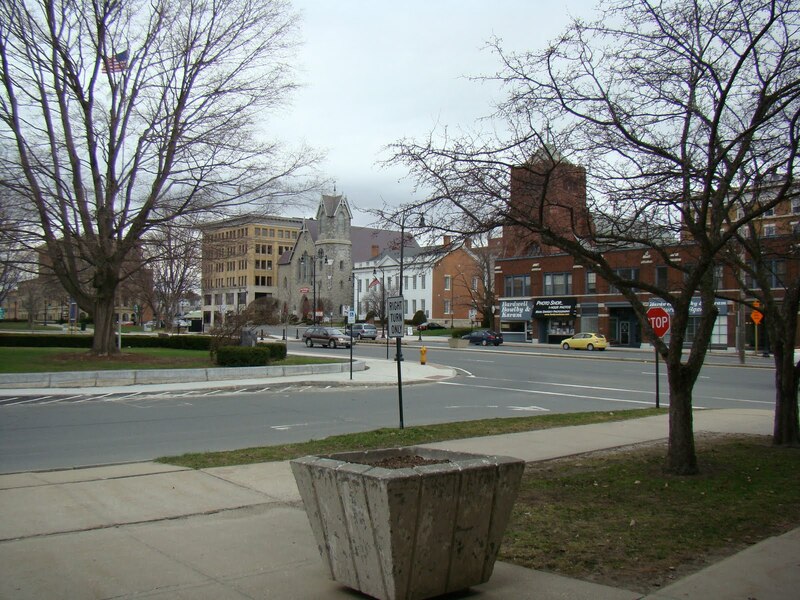 It is located in Pittsfield. I decided that I had the deeds I needed from Hampden County when I had visited that Registry early in the trip. I need to prepare an Excel spreadsheet and post that here so keep and eye out for that data. So this meant that I could do other things and I decided since it was about 2:30 – 3 pm that I would just go ahead and register at the Comfort Inn south of Pittsfield and get settled. I was going to be in this area till Tuesday so I might as well reevaluate my situation and do some chores…like laundry! Once in Pittsfield the road takes you on Hwy 9 to Hwy 7/20 south. The Comfort Inn is just past the big sign pointing the way to the Pittsfield NARA branch of the National Archives. Unfortunately this NARA branch will be closing at the end of the summer – I think in September? 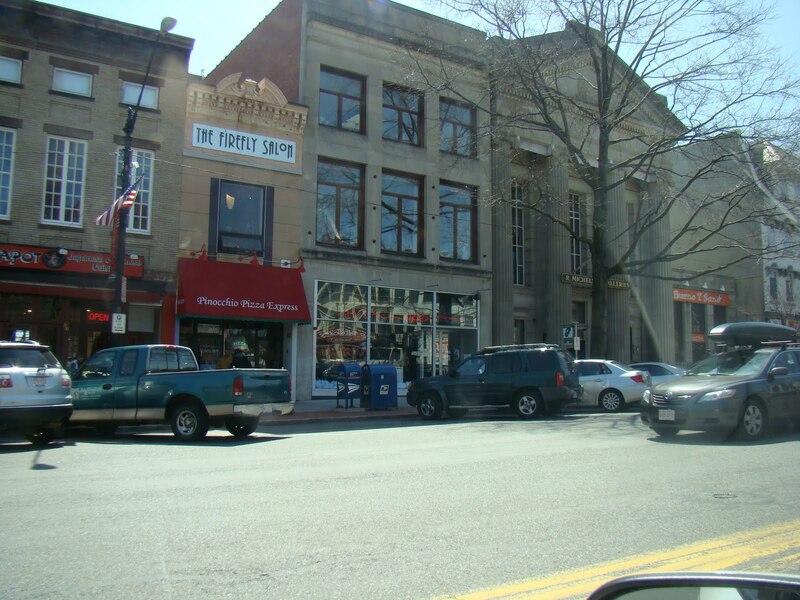 I do know that the microfilms will be transferred to the Pittsfield Athenaeum (old title for a library). Other records I am not sure? I did not visit it because it houses federal records and I need town and county. 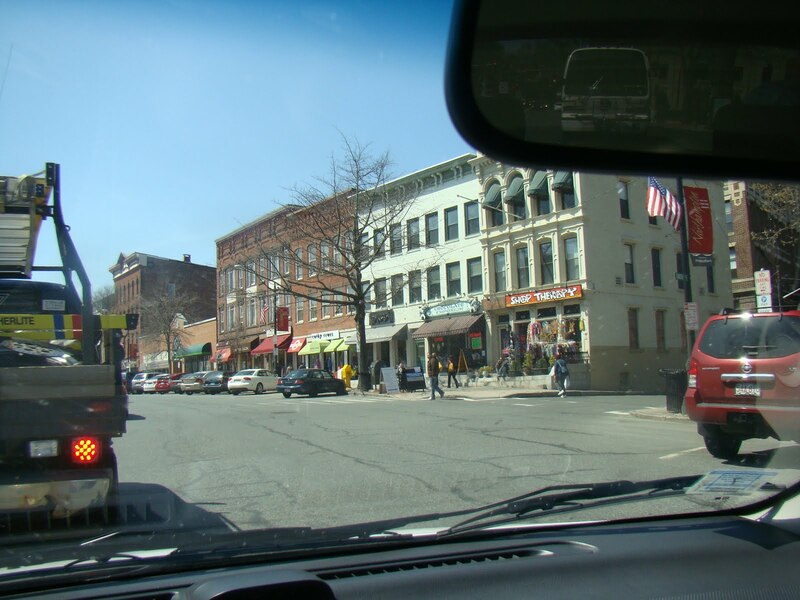 Driving through downtown Pittsfield was very interesting. It was not a problem. I just followed the signs. It was busy with traffic but no worse than being at home. ﻿Bed and Breakfasts are wonderful and I love the old houses and the history of each of them. The great food. They do have their challenges like no elevators to carry your luggage up. The stairs in the older B&B’s can be very steep and narrow. Fortunately most of my hosts had been helpful and helped me carry things to the room. My hubbie was at home and he usually covers this for me. This was something my sister taught me. If you are staying at a lodging place only one night take only what you need and leave the rest behind: like valuables, sleep wear, a change of clothes and a toothbrush to the room. So I know pack another bag to stuff things into. My car rental had a special anti theft devise. So that would discourage it being stolen. The Comfort Inn was a different situation so I took all my luggage and most of my stuff in to get it better organized. The next week I would be on the go and staying at B&B’s for one or two nights. The Comfort Inn in Pittsfield is really south of Pittsfield and on the border with Lenox. The sign is right there at the entrance. It is on the east side of Hwy 7/20. This street is very busy and turning left on it can be an adventure. The Comfort Inn entrance is next to a green chain link box and up a hill behind the Dakota Restaurant. Instead of running off and doing some research I stayed in the room which was a handicap room with a huge bathroom. Why they gave this room to me I don’t know? I spent the time getting organized, rearranging my schedule and other chores. It had a microwave and refrigerator so that was good. It also had two beds so I could spread my stuff out. The attendant at the desk told me about a Stop and Shop up the street and on the left side. So I went up there and purchased some items. Dinner was in the room and I got to take it easy. Please Note: As you have probably guessed I have returned to my home on the West Coast and physically the trip is over. I will continue to post my adventures over the next week or so and hopefully get this all written up. So keep reading there is more to come.